Welsbach Electric of Long Island provides complete electrical construction and preventive maintenance services to Long Island commercial and industrial businesses, schools, and municipal organizations. 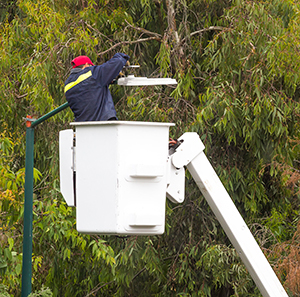 Our full-service contracting includes construction and maintenance of a complete range of high quality indoor and outdoor electrical and telecommunications systems designed to give you lasting reliability. We provide an extensive array of capabilities. Our IBEW technicians are certified in multiple communications solutions so that no matter what system you need, it will be installed and serviced properly for continuous productive performance. We are committed to providing the high quality workmanship and materials, sophisticated technology, and responsive service needed to complete every project dependably, safely, on schedule, and within budget. With strategic footholds in the transportation and industrial markets and an established specialization in intelligent transportation systems (ITS) services, power systems, and construction maintenance, we have been able to capitalize on existing and emerging technologies to become one of the major electrical contractors on Long Island. We also maintain an on-site warehouse with an extensive inventory of testing equipment and garage facilities containing a fleet of more than 100 specialty vehicles to provide you with a full range of 27/7/365 maintenance services on a scheduled, emergency, or project basis to be there when you need us. Welsbach Electric of Long Island has the capabilities and specially trained personnel to provide unparalleled electrical service throughout Long Island. The result of our experience and expertise is a solid combination of high-quality end-to-end professional services and reliable, long-lasting systems to better serve you and your business.